An All-Gum post 'cause everyone loves gum and 'cause none of these things were interesting enough to get their own post. What is interesting is that I had spelled 'interesting' with an 'en-' at the start and didn't even notice it until after I posted. Hmm. 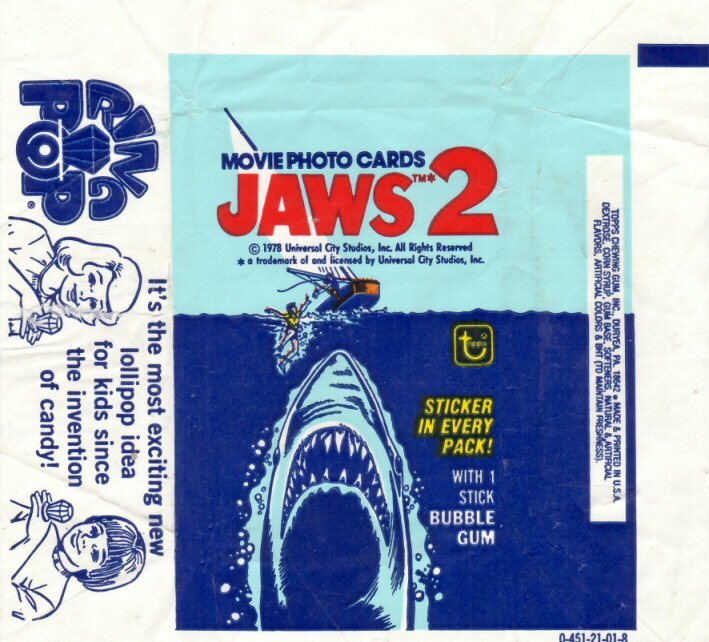 Jaws 2? If you're going to save on to a Jaws movie tie-in bubblegum trading card wrapper, why not the original? What was I thinking? 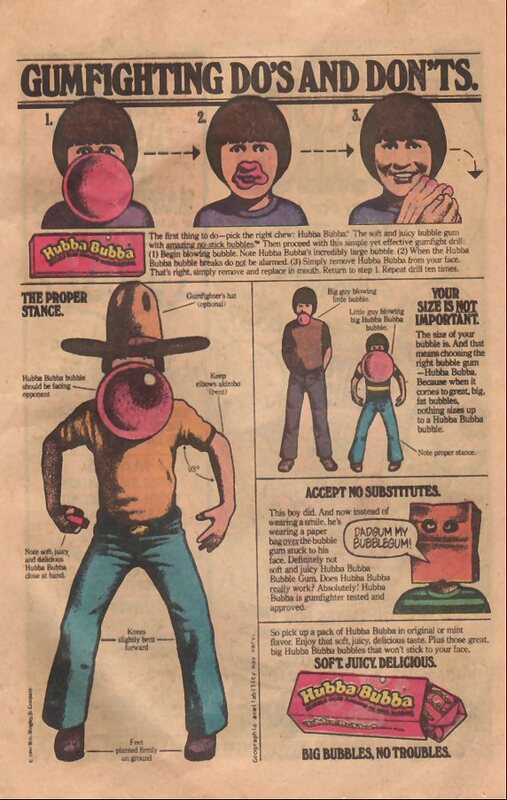 And finally, some gum ads from The Washington Post's Sunday color comics sections circa 1975-76. Have you ever noticed how I just make up punctuation rules concerning the comma-izing/italicizing of the titles of different publication. I have no idea what's officially correct I just go for whatever looks the prettiest in each specific sentence. In this case I was liking the italics. 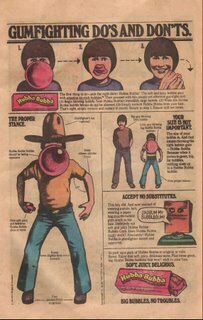 Sorry about the ends being chopped off, but Sunday funny pages in the '70's were about 8-feet across and 12-feet high. Groovy! Hah! I think that the newsboy and the mailman would be mightily insulted/horrified by a customer giving them a truckload of gum for Christmas! 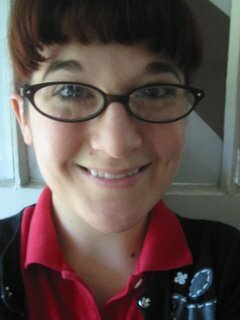 "Little Timmy should worry a little less about getting those papers to my door and worry more about his oral hygiene." 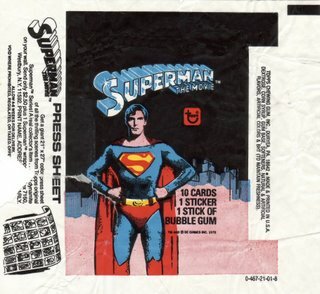 Awesome collection of gum related media! Oh! 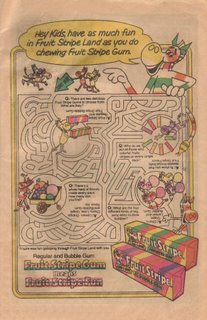 And Fruit Stripes gum!! 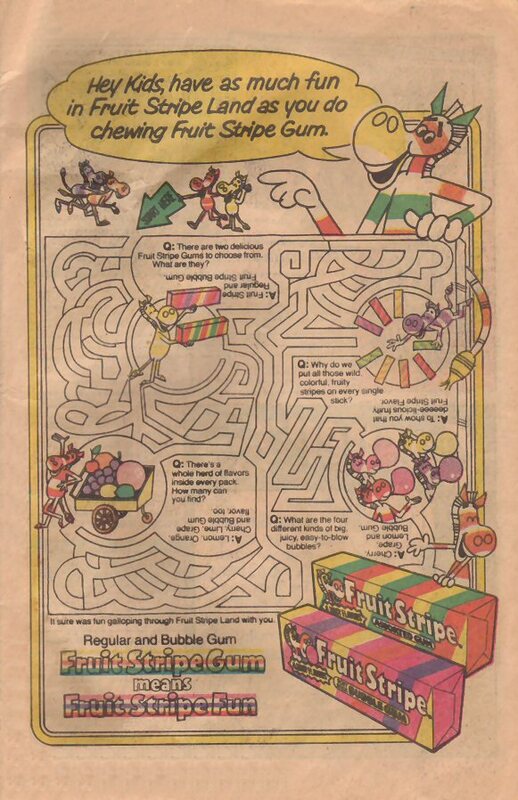 Was their gimmick that the delicious fruity flavor was contained ONLY within the stripes? Helloooo?! Flavor, where are youuu?